Has your tongue suddenly developed a spotted or patch-like appearance? You may suffer from a condition known widely as geographic tongue. 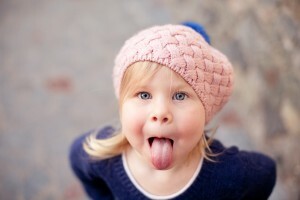 Normally, your tongue is covered with tiny pinkish-white bumps that are known as papillae. At times, though, the papillae disappear in patches (or lesions), causing the appearance of red “islands” of various sizes. The result is a map-like appearance on the tongue – thus, the name. Medically you may hear geographic tongue referred to as benign migratory glossitis. The appearance of geographic tongue can be scary, and may cause some discomfort or minor burning. However it’s important to know that the condition is relatively harmless, and is not associated with infection, cancer, or any additional health problems. As the lesions appear to move or migrate, they are actually healing in one spot before reappearing in another. These legions often disappear completely on their own but may reappear at a later time. The cause of geographic tongue is currently unknown, but some dental professionals believe it is related to a vitamin B deficiency, irritation from specific foods (e.g., spicy, salty or acidic foods), or genetic factors. Your dentist may suggest avoiding these foods and using an over-the-counter pain reliever or mouth rinse to relieve discomfort. If you have a sudden bout of geographic tongue, consult your dentist at the Yuba City Dentistry Group. We are happy to further diagnose the condition, answer any questions, and inform you of available treatment options.